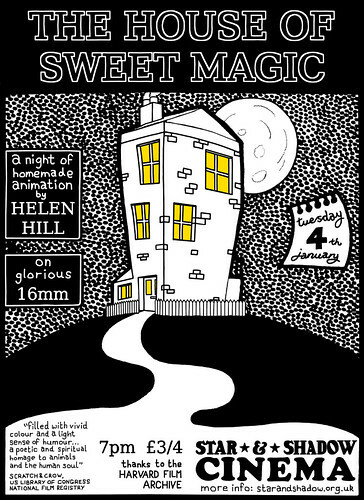 The Star And Shadow Cinema in Newcastle Upon Tyne will be showing a night of Helen’s films on January 4th, 7:30pm. I received an invitation to this event as I was friends with Helen when she lived in Durham. Thank you to whoever sent it to my parents address. I was excited to receive it, thinking it was from Helen, then was gutted to read about her death. Unfortunately I no longer live in Durham and I am unable to travel up there from London for that day. I remember Helen with great fondness, and still have the high school sweatshirt she gave me when we were 15. My thoughts are with her family and I hope the showing goes well.